Noreen: I'm sorry to hear you lost your job Kelly. Noreen: How are you paying your bills? Kelly: Well, I'm getting unemployment benefits, so that softened the blow a little. Noreen: Oh good, I'm glad you're not completely broke. Kelly: Yeah, but my unemployment check barely covers rent and food. I need to find a new job soon so I can pay my other bills. Noreen: I'll let you know if I hear of any openings. Meaning: To "soften the blow" means to better a situation that is difficult or unpleasant. When something bad happens to someone, Americans occasionally call the negative event a "blow" (especially when something is lost). 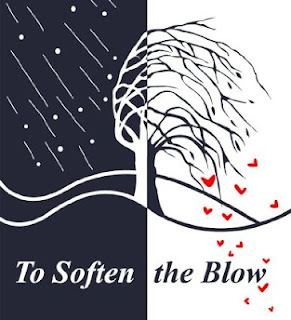 Therefore, when something is done to make that "blow" less severe, it is seen as "softening" it. In the above example, Kelly lost her job, so she doesn't have enough money to pay all her bills, although unemployment benefits have helped her eat and pay her rent. However, it is important to be clear that this idiom is only used when the result of a negative event is made a little better, but the problem still exists. Look at the following example. Sandra: Hey Fernando, how is your wife doing? I heard she was in the hospital. Fernando: The doctors still aren't sure, but they're doing lots of tests. Sandra: I'm sorry to hear that. Are you OK? Fernando: I'm doing OK, but it came as a blow to the kids. They don't understand why they can't see their mom. Fernando: Fortunately, Amy's mom had some vacation time at work, so she is staying with us. That helped soften the blow a lot. She visits with Amy while I'm at work, and she has been helping me with the kids while I visit Amy in the evening. Sandra: Well, if there's anything I can do, let me know. Maybe I can help babysit one evening. Fernando: That would be great! Thanks for offering. Here, Fernando's wife is still sick, but his wife's mother is softening the blow by helping out, and Sandra offers to help even more. Notice also the underlined use of "blow" - when used to describe a bad situation with a strong effect, "blow" is usually used in the expression "come as a blow."